Buying a home is the dream of every people and being a homeowner is a beaming of joy for most of the people. A home is a place where you can spend some cozy and comfortable time with your family member and it will nurture your family value. The pride of being called a homeowner is the sweetest thing that everyone wants to experience in their lives. Kerala is a place where real estate market is thriving very steadily. And many eminent builders like Indraneelam is embracing the customers with some lucrative projects. Below, we are mentioning some of the benefits of buying a home in Kerala from Indraneelam builders Guruvayur. If you are a tenant, then your landlord can raise your rent once the contract will over or may be as per his wishes. But if you are a homeowner, then you can get rid of this varying rents and can easily calculate your monthly payment because you know your principal and interest amount will not increase. Depending on the state and market rate, homeowners are also eligible for some tax deductions specially for their first home. 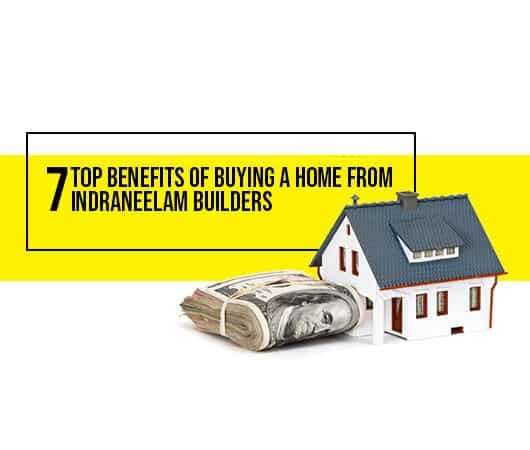 Owning a home will always uplift your status and will help you in getting compliments from others specially if you purchase it from a reputed builder like Indraneelam builders. Indraneelam is a prodigious builder in Guruvayur and they received Kerala’s Best Budget Builder Award in 2016. All their projects are simply breathtaking and will never burn your pocket. Their architectures and designers are very sagacious and skillful and they use the best products and materials for their projects. Moreover, all their projects are thronged with all the latest amenities. So, if you purchase a home from them, then your home will remain an asset for you and you will get a lot of appreciation for this. Now, the real estate market in flourishing hurriedly. The astounding growth of the real estate market in Kerala has motivated many customers to spend a good amount of buying property in Kerala. If today you purchased a home from Indraneelam and after some years, you want to sell it, then you will certainly get a good value for your home. So, purchasing a home in Kerala is a good investment in your budget. Read Easy Home Improvement Ideas on a Budget. Privacy is a prime concern and that’s why everyone wants to buy a separate home for them. When you are staying in a rented house, you may not feel comfortable in doing all activities. But in your own room, you can decide everything as per your choice. As compared to rented homes, owned homes give the owners more capacity to decide on how they are going to keep their activities private. Moreover, at your own home, you are free to organize any party or family gatherings or any birthday celebration but many landlords will not allow tenants to organize such activities in the rented house. If you are fed up with the same monotonous look of your house, then you can easily upgrade it or renovate it after some years. You can easily change the decoration or hue as per your choice to revamp the look of your choice. If you need an extra room for your kids or any other family member, then you can comfortably incorporate it into your owned house. You can also redesign your kitchen or bathroom to make them more functional and improve the aesthetic look of the house. But in a rented house, you can’t do all these things as your owner will not give you the permission for these changes. Try some Low Cost Interior Design For Your Home . A home is the biggest asset for everyone and this is completely yours because you spend a humongous amount in order to purchase it from the builder. So, you have every right to stay there as long as you wish. But if you are staying in a rented house, then there is a chance of getting kicked out once your lease will expire. You can lead a healthy, comfortable, and secure life if you have your owned house. You can find o are giving many real estate builders who are giving some lucrative offers to the customers so that the customers can purchase their dream home from them. But not all the builders have the good reputation or use good materials for their projects. So, here we are mentioning certain things that you check before buying a house in Kerala. At first, you should thoroughly check the materials that are used to make your apartment. 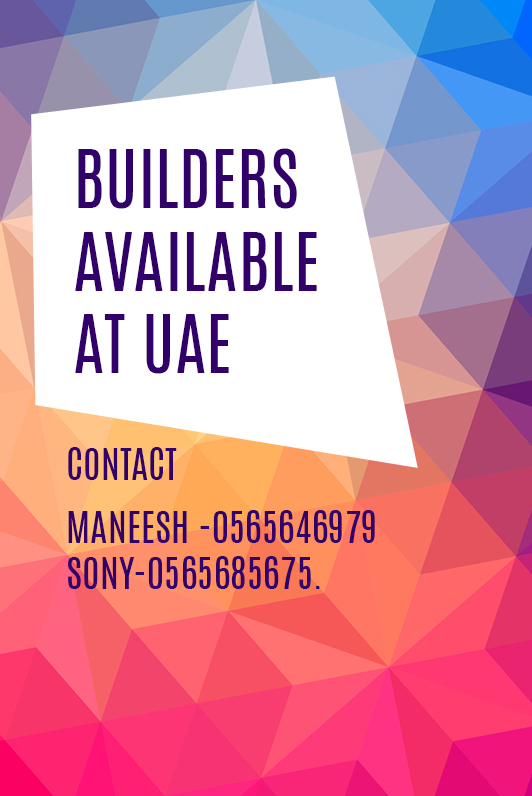 If required, you may ask your builder regarding the material details of your apartment. You also need to check the insulation, placement of power points and other wire connections of your building. Connectivity is another prime thing that you should be included in your checklist for Buying a House in Kerala. If your apartment is well-connected with retail shops, hospitals, schools, bus stops and medical stores, then everything will become easier for you. Does your new home has a separate car parking zone? You should check this point before investing a single penny in your flat. Before purchasing a house in Kerala, you should check the noise level. If your house is located at a very busy or overcrowded street of Kerala, then you should go for a second option especially if you have some elderly persons with you. Check all electric systems properly before making any payment for your new home in Kerala. You must check that all plug points and connections are working properly because short circuits can always be annoying as well as dangerous for you and your family members. Also Checkout Things You Can Expect During Home Inspection Process. You should check all locks and keys thoroughly before initiating any payment. If you have children or elderly persons, then you can’t ignore this step. Before investing a single penny in your new flat, you should check whether there is any leakage exists in the property or not. Specially you need to check thoroughly the bathroom and the kitchen because leakages are mostly found in these two places. From the above article, hope you have an adequate knowledge why should you purchase a home from the builders like Indraneelam in Guruvayur and what are the things you check before buying a home? What are you waiting for ? Go to Indraneelam website and check the best property for you.